OPEN HOUSE Sat, April 27th, 12-3pm. Custom designed end unit condo in beautiful Meditierra, just a short walk or bike ride to the beach. Open and bright with loads of windows, soaring ceilings, crown molding and architectural columns. Gourmet eat-in kitchen with custom cabinetry, granite counters, ss Wolf gas range, frig and microwave, Kitchenaid convection double ovens and warming drawer, 70 bottle wine chiller and breakfast bar. Formal dining area, great room with gas fireplace and office/flex space. 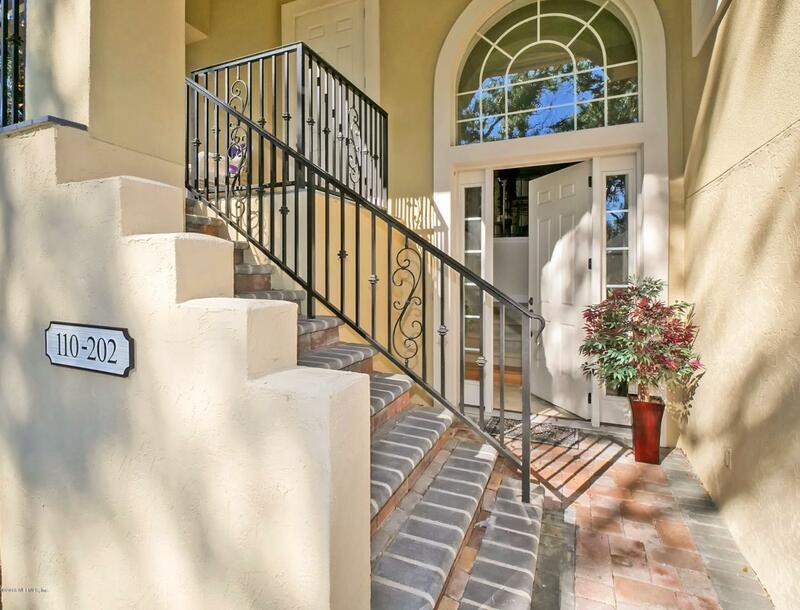 Spacious master bedroom with French doors, sitting area and spa-like bath.Customized oversized walk in closets. Private pavered patio off great room. Immaculate 2 car garage with storage cabinets and work bench plus tools conveys. Private elevator in foyer for easy access to main living aPreferred Membership Initiation Fee pricing for the clubs of Gate Hospitality - Ponte Vedra Inn & Club, The Lodge & Club, Epping Forest and The River Club - is available to the purchaser(s) of this property.